There are a lot of benefits, promo and freebies to redeem being a Samsung Galaxy smartphone user when you download the Samsung Galaxy Life App on your smartphone. The app it’s like my forever buddy on my smartphone. 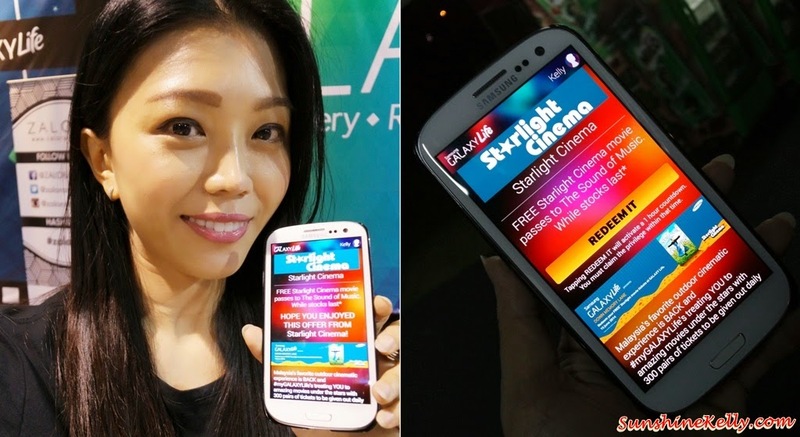 From 13th till 21st June 2014 Galaxy Life will be giving free entrance pass to Starlight Cinema. All you need to do is to download the app from http://bit.ly/1poQIvU. Each user can redeem a pair of pass and children under 12 years old can enter without passes. So yesterday we watched The Sound of Music and sang along some of our favourite songs like Do Re Mi, My Favourite Things, Maria, Edelweiss, So Long, Farewell Sixteen Going On Seventeen and the list will go on. Despite watching this movie for many times since young until now I will never get bored because it’s such a hilarious, touching and romantic movie that I enjoyed watching again and again. 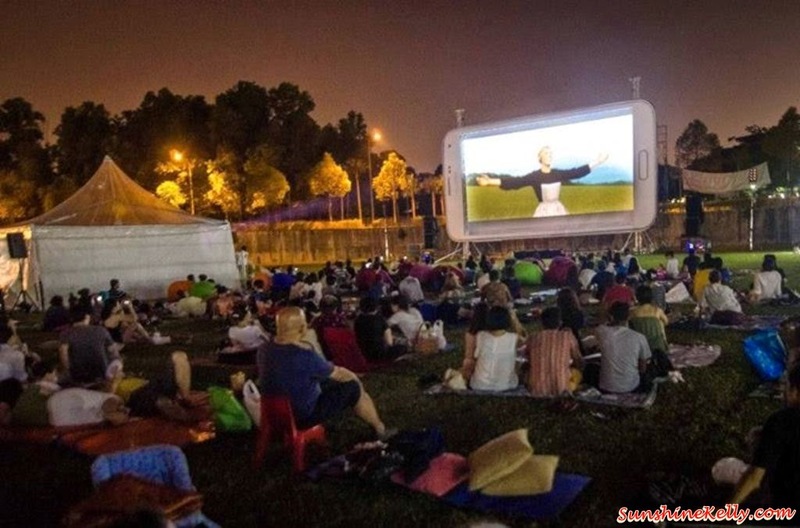 There are many exciting movies showing at Starlight Cinema such as Paranormal Activity, The Conjuring, Despicable Me, Despicable Me 2, The Internship, The Sound of Music, Fast & Furious 6, Titanic, World War Z, Pacific Rim, Man of Steel, Batman Begins, The Dark Knight and The Dark Knight Rises. I am thinking of going back again on this Saturday for Batman Trilogy Special. I saw many people brought their own mats, pillows, blankets, food, drinks and some even brought their teddy bear. It was a very relaxing and casual. It’s advised to wear something comfy and loose, bring mosquito repellent and your own mat. 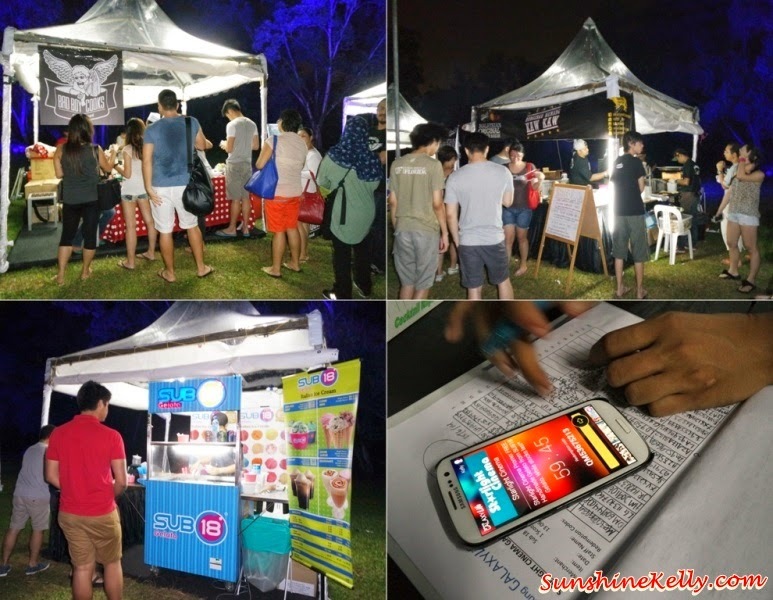 The food and drink are well taken care of because you can redeem lots of food, snacks and drinks via the Galaxy Life App such as Gong-Cha; myBurgerLab, Burger Bakar Kaw Kaw, 7-Eleven, Pizza Hut, Coffea Coffee, Crazy Potato, Gong-Cha, Sub 18 Gelato. All you need is Galaxy Life App to redeem it. That night I managed to redeem quite a lot of such as Gong-Cha Winter Melon Tea, Hawaiian Chicken Pizza from Pizza Hut, Single Chicken with Cheese Burger Bakar Kaw Kaw, Sub 18 Raspberry Yogurt Gelato, Honey Mustard Fries at Crazy Potato. 2. The redemption code will appear, the ticket personnel with record the redemption code and then press ‘Shop Staff Swipe’. The personnel will issues a pair of entrance pass. 3. Enjoy the your time with great food, movie and companion. Overall, it was an enjoyable and memorable experience for me at the Starlight Cinema. I hope that this could be a yearly event. Thanks to Samsung Galaxy Life App that makes it possible for me to redeem so many freebies and experiences in my life #myGALAXYlife. jie jie, can i follow you go next time? Hi Qua Chee, I was there too. Super awesome lepak, watch movie & eating with friends like at home.